I am beginning something new today, so I want to share it with you. I have not been able to exercise for about 3 years, and it was getting really hard for about 6-12 months before that. For someone who has always loved to be active, this has been particularly tough to deal with. I miss the feeling it provides; I miss the excitement and the social side; I miss being able to make my body strong, and healthy, and look good. I also find it hard that over the past 3+ years, I have tried and tried to be active, and inevitably it wipes me out for days or weeks, and this is so deflating and off-putting. No matter what I have tried and how gentle I have been, by the start of this year, it had eventually scared me into doing almost nothing, apart from my health recovery tai chi class once a week, and the occasional gentle walk with my mum and dog. I have searched and searched for someone who may be able to help me. Finally, I may have found someone. Today, I am starting with an exercise physiologist (EP), and I am excited. Apprehensive and nervous, but excited. During the last few years, I have looked for motivation and ideas all over the internet and in my local area, and have been amazed at how little there is out there for people in my situation. 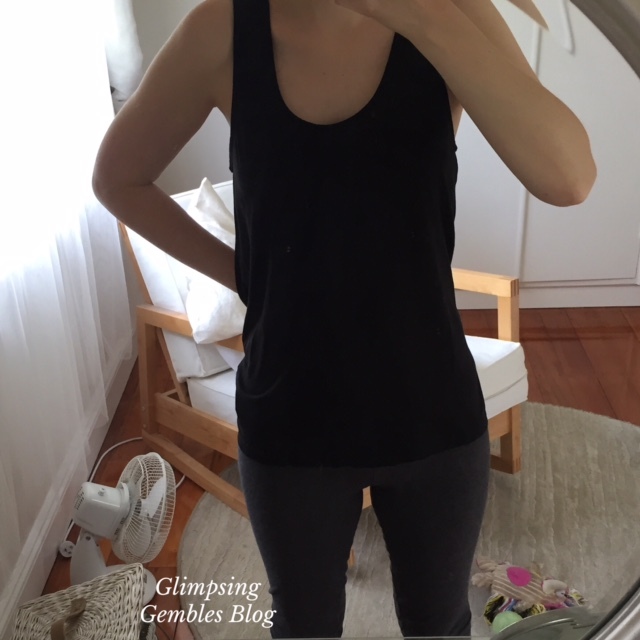 I will try my best to keep you up to date with my exercise plan and how I am coping with it, and hopefully will be able to provide you with that notion that I was seeking – that it IS possible. I am trying to be realistic. I know from many bad experiences with doctors, therapists and the like, that my hopes are not often met because of the complexity of my health conditions. 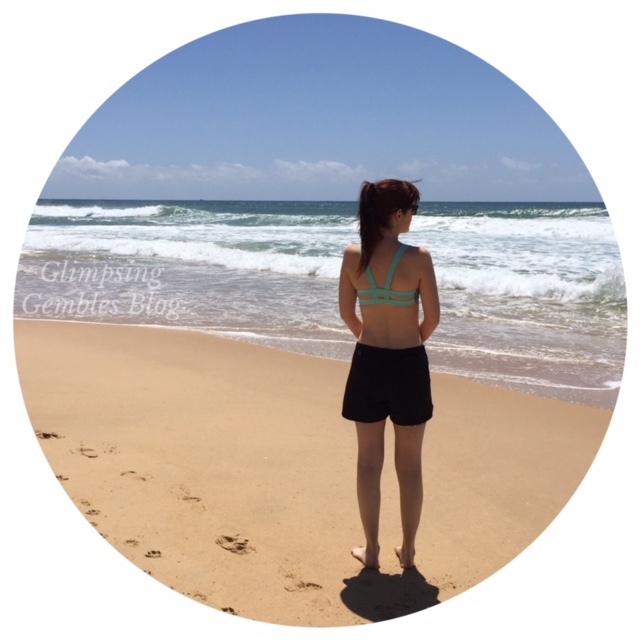 I am aware of currently being too hopeful – I envisage workouts and activities I used to do! – I know that is probably unlikely ever again in my life. So I am pulling myself in, and taking it cautiously, and hopefully the EP will know a few things to help. To strengthen my legs. Having POTS, it is important to have strong leg muscles so as to aid the pumping of blood from the legs back up to the head. To strengthen my core. I have a lot of back and neck pain, so having a strong core would really help this. To stretch my hips and legs. I have Snapping Hip Syndrome, and my hips are extremely tight, and I know that working on my flexibility will really improve my comfort. To improve my overall fitness. Being unfit does not help my overall symptoms, so just getting a bit of fitness, if possible, may help me feel a little better. Once I am a bit fitter, I may be able to keep slowly working at it, which can sometimes improve POTS symptoms. The difficulty is to find the happy medium with my extreme exercise intolerance and post exertion malaise. To improve my sleep pattern. At the moment, I have a poor sleep routine. This is largely to do with my medical conditions and medications, but I would like to see if doing some exercise would help me sleep better. To meet people. I don’t get out that much, so any opportunity to chat to new people is exciting. To look better. This is by no means a high priority for me. 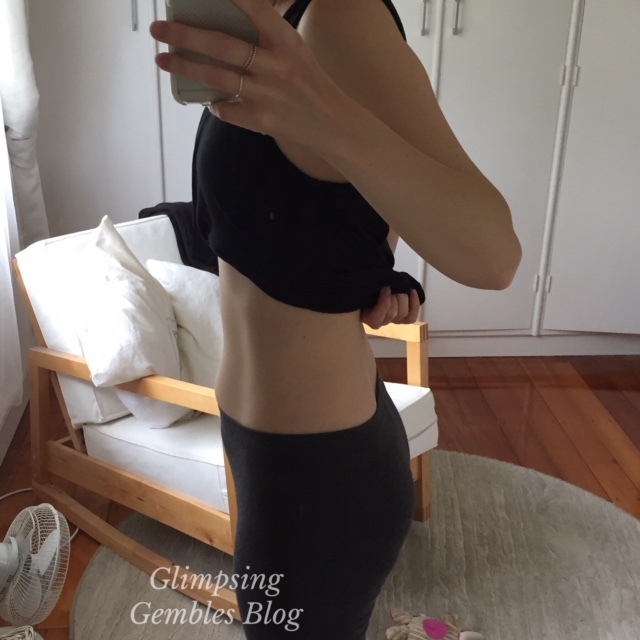 I would much rather feel better than look better, but I would be kidding myself if I didn’t admit that a good side effect of improving my fitness would be a tighter tum and smaller thighs!! I do not expect a huge change in a short amount of time. 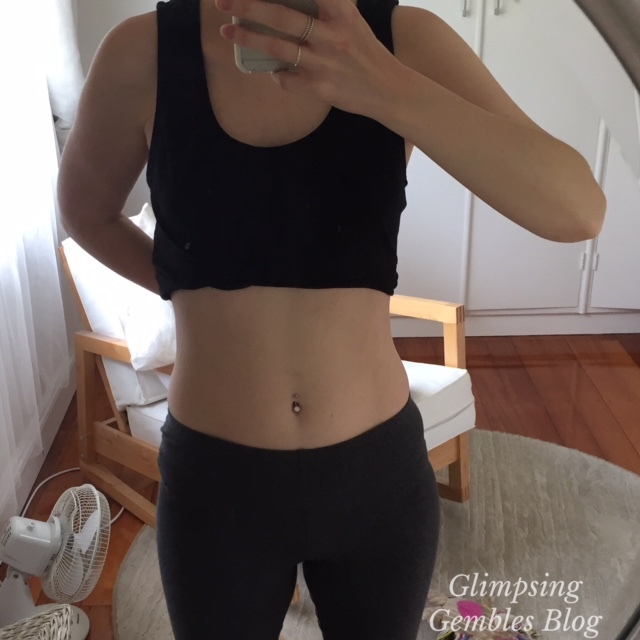 This is going to be a very slow process, and as I have learned from my own trial and error, it really will take patience to find what I can do, and within that, what I can do to challenge and improve my body. It will be tiny steps, but at least I am trying something, and that is a step in the right direction. This is me today, ready for my first session. I will use this as a “before” shot to refer back to as motivation. Walking up and downstairs when my dog needs to go outside. An occasional short walk in the park with my dog. A tai chi health recovery class once a week. If I do something like see a friend, have a small browse at the shops, or go to a uni tutorial, then I generally can’t do a walk or bake etc that day. It is one or the other. (I am blessed as I do not have to do housework, groceries, and cooking etc – my amazing Mum does A LOT for me! If I had to do that, then I would not be able to any of the other things at all). If I sit upright at my desk to read or write, I am drained of energy and feel light headed etc, and often need a rest. I need a rest after a shower, and subsequently always shower at night. I spend a lot of my day sleeping, resting, reclining or sitting. I would love to hear what you do for fitness within your capabilities, or what you are working towards; please comment below! Keep positive, and keep smiling. I had surgery on my spine to remove a tumor as a teen and, as a result, I am unable to do any high impact exercise such as running. I can swimming and cycling, although I am a little slack at times. Motivation seems to another exercise I could benefit from. Wow that’s big. Did that coincide with motivation to be a nurse? I wonder if rowing would be good for you. I sometimes wonder if I were to be completely cured one day, would I become obsessively active because I know what it is like to not be able to do what I want, or would I eventually lose motivation. Humans are funny creatures. Maybe the fact that you are alive and walking should be motivation to cycle or swim everyday, to feel the exhilaration of the movement, to be healthy for your kids. But then again, maybe being a father and a husband and a nurse and a writer is demonstration of your awareness and gratitude of a second chance. We all find what is important to us in the end! Yeah – my experience as a patient certainly influenced my decision to pursue nursing. The two years I spent in a wheelchair were enough of an experience that I did strive to become super active when it became apparent that I would be able to walk again. And yes, I kinda became a sponge for life – to soak it all in as much as possible. This was really interesting to read and I love that you have written down exactly what you are able to do at the moment – that will be so beneficial to your motivation when you look back in a few months. Even the tiniest improvement is still improvement. Some of what you said was very relatable to me, especially the bit about your Mum doing a lot for you!! If I didn’t have my parents to do the day to day things, I would not be able todo anything!